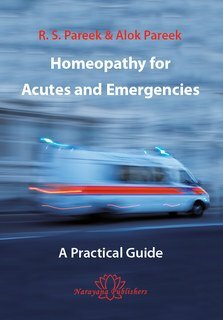 A practical guide to homeopathic prescribing in acute illnesses and emergencies. Dr. Alok Pareek runs a homeopathic hospital with fifty beds together with his father R.S. Pareek in Agra, India, treating around two hundred patients daily. His clinical practice spans thirty years. This extensive experience has given him a wealth of opportunities to carry out and refine homeopathic treatment in a wide range of acute and emergency situations. 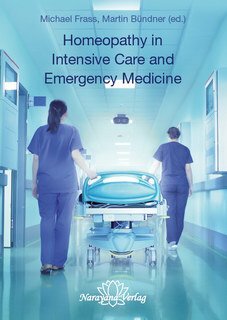 Based on this experience, the book offers a clear, practical guide to successful clinical prescribing, with case examples and a living materia medica for problems relating to: the heart and circulation; neurological and psychiatric emergencies; acute trauma, injury and pain; surgery; adverse drug reactions; and selected organ specifics. Careful attention is paid to basic principles, including the limitations of homeopathy. Practical therapeutics are described for over one hundred remedies and detailed advice is given throughout on potency, dosage and remedy administration. Dr. Pareek demonstrates that homeopathy has much to offer in acute and emergency settings. He aims to increase the confidence of practitioners, to improve results and encourage them to offer safe and effective treatment in this important field, enabling homeopathy to take its place alongside conventional approaches within mainstream medicine. “As an Emergency Medicine physician who deals with life threatening diseases on a daily basis, I found Dr. Pareek’s homeopathic approach to be full of well-rounded clinical criteria and plenty of wise advice to the homeopathic doctor. Gladys H. Lopez M.D., M.P.H.